We love the first sweet bite of a just-picked cantaloupe? Orange in all its shades is the perfect accent color to brighten your wardrobe and makes you feel refreshed all day long. 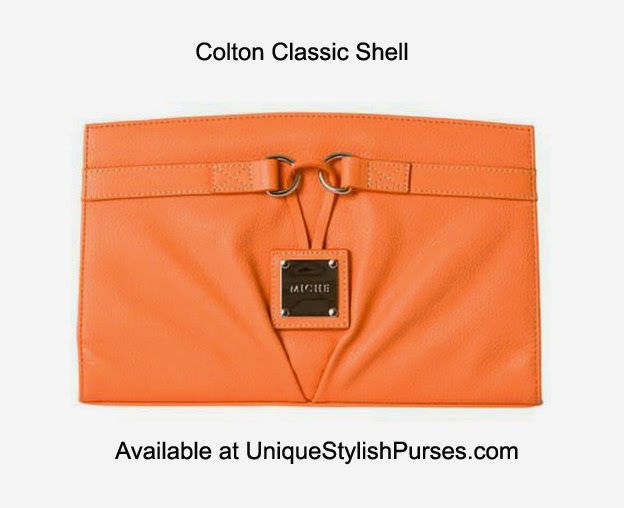 The Colton for Classic Miche bags features pebble-grain textured faux leather with illusion band detailing and chic drop plate logo. Silver hardware.